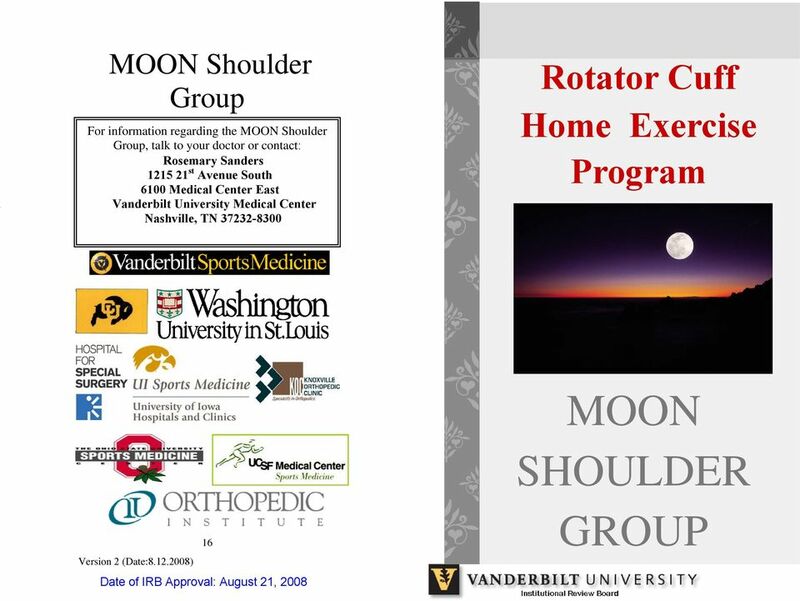 Download "MOON SHOULDER GROUP. 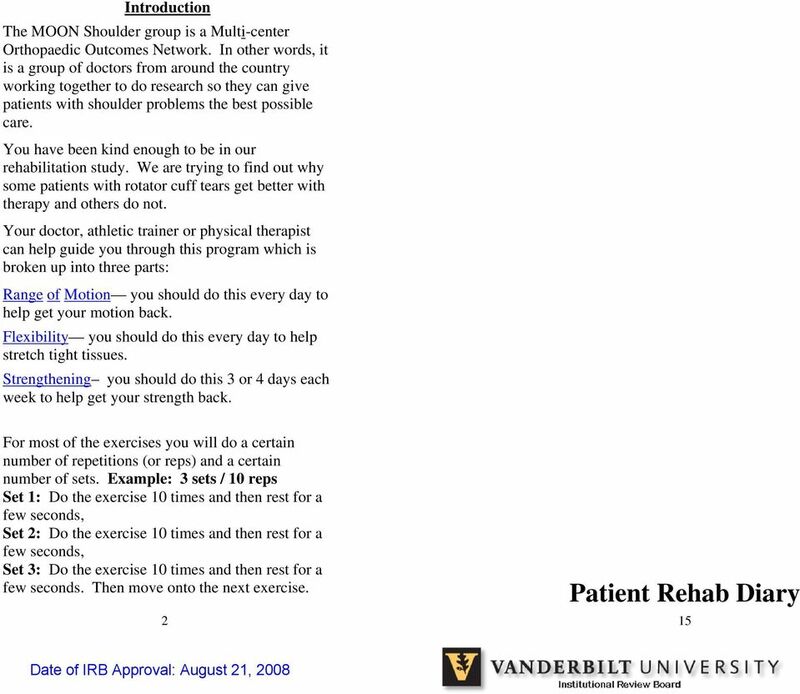 Rotator Cuff Home Exercise Program. MOON Shoulder Group"
5 8. Push Up Plus: 3. 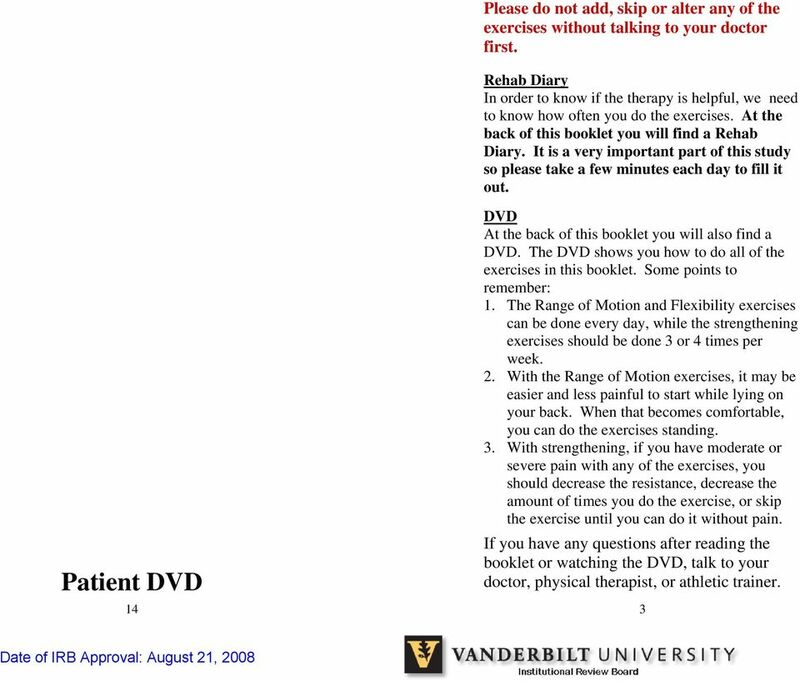 Active assisted range of motion. Use a cane/broomstick/pulley system so the good arm moves the injured arm. Do 3 sets / 10 reps for each exercise Do a pushup (either on your hands or forearms) and then really push to bring your spine to the ceiling. Kneeling on the floor, place your hands or forearms on the floor. Start by doing a push-up, then round your back. Really push to try to touch your spine to the ceiling. 9. Posterior Deltoid: Lying on your stomach hang your arm over the side of the bed or couch. While holding a weight, bring the arm out to the side and hold for 20 seconds. 12 Figure 1 Figure 2 Figure 3 Lying on your back, hold the cane with both hands. 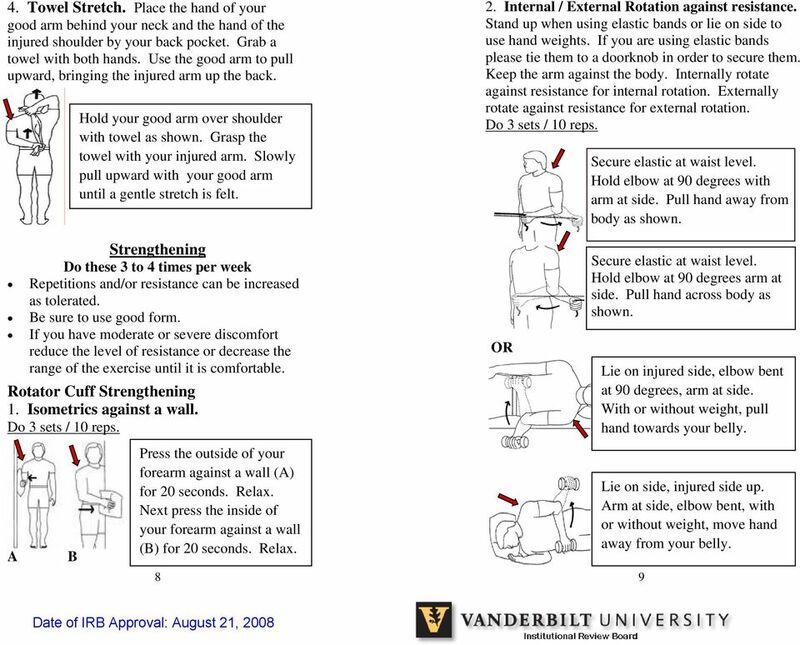 Raise your arms using the good arm to help guide the injured arm (Figure1). 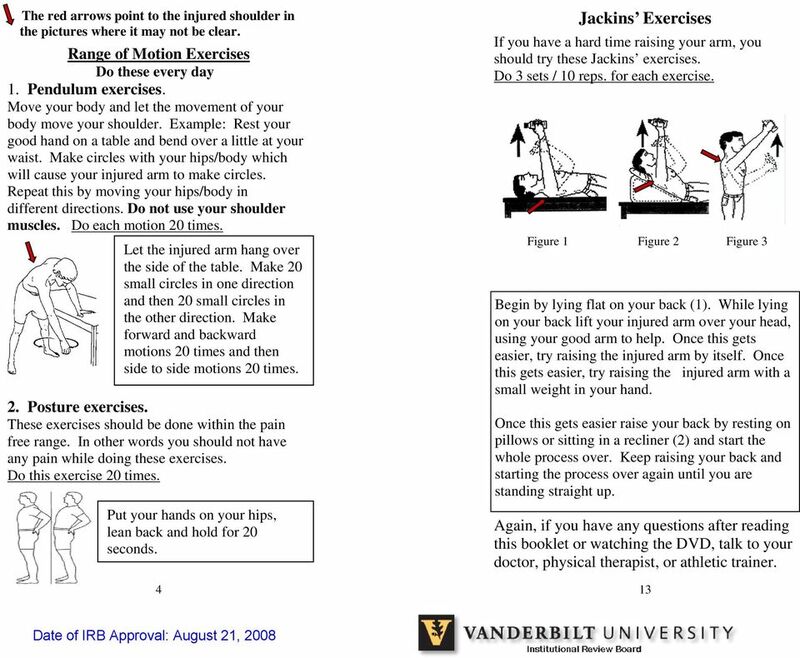 Next use the good arm to move the injured arm to the side (Figure 2). 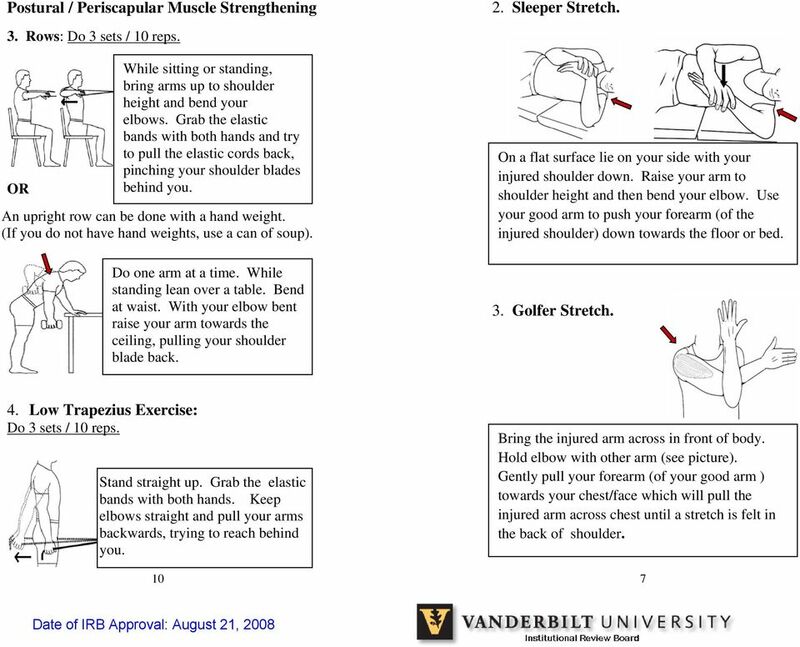 Lastly, use the good arm to move the injured arm up to the side and up (Figure 3) You may start to use your injured arm more as it starts to feel more comfortable. Again as you start to feel more comfortable you can also do these standing up. 4. 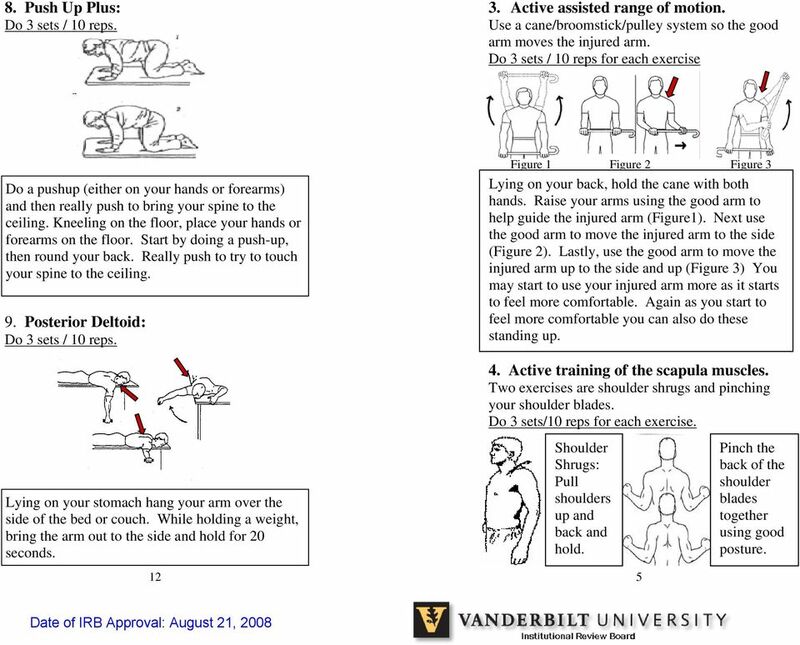 Active training of the scapula muscles. 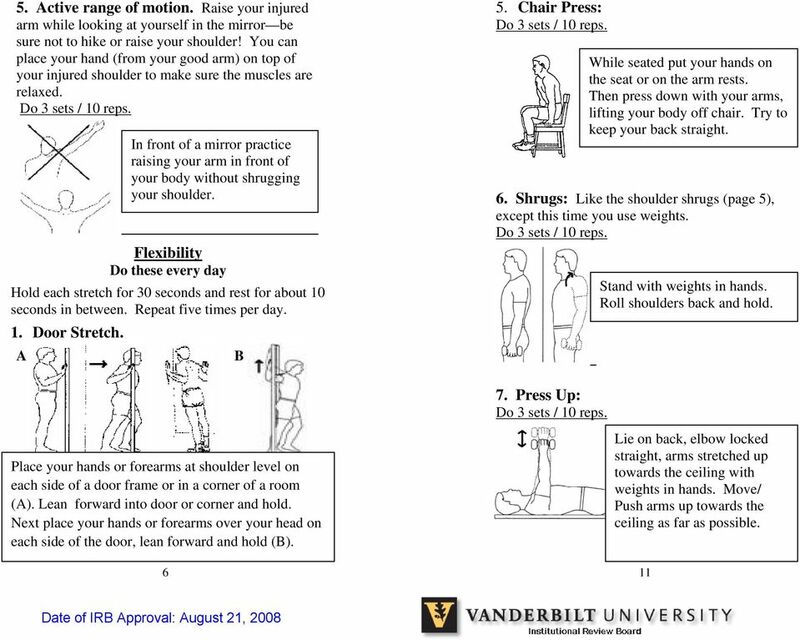 Two exercises are shoulder shrugs and pinching your shoulder blades. Do 3 sets/10 reps for each exercise. Shoulder Shrugs: Pull shoulders up and back and hold. 5 Pinch the back of the shoulder blades together using good posture.